We know that the most effective method of keeping your carpet clean and make it last a long time is by using vacuum regularly. In fact, they recommend vacuuming three or more times per week. 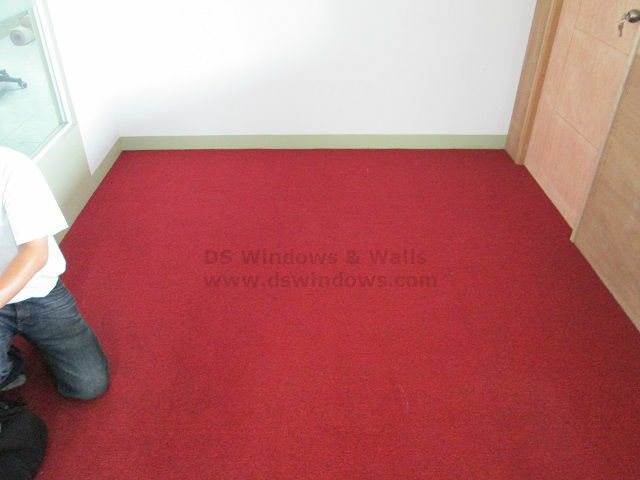 One of our clients from Fort Bonifacio, Taguig selected wall-to-wall carpet: CR 630 Red: Korona, which made up of 100% Olefin. In cleaning and deodorizing carpet, usually, a small amount of water and a drop of club soda will get out a stain. Use a clean, white, dry cloth and don’t scrub because scrubbing destroys carpet fibers and excess water gets below the carpet into the pad, which leads to mildew and a funky smell. Most do-it-yourself carpet cleaning usually use the Hot-Water Extraction Method. A hot water and detergent solution is sucked out of a reservoir, spray on the carpet, and immediately extracted with a powerful vacuum. If your carpet has a bad smell, you can try a commercial carpet deodorizer or you can go to the kitchen and find a baking soda, sprinkle it into the carpet, leave it for a few hours, and then vacuum it up. 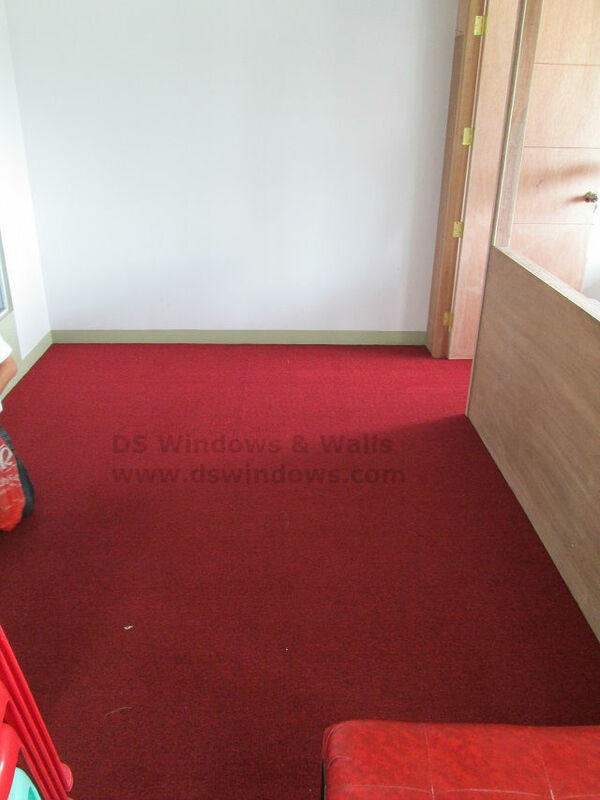 In DS Windows and Walls, we offer Carpet Tile and Wall-to-Wall Carpet / Broadloom. We can visit your home to estimate your floor area for FREE if within Metro Manila. 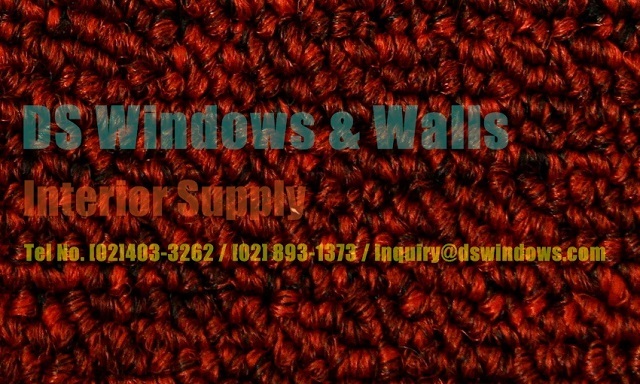 For more inquiry, call us at (02) 403-3262 / (02) 893-1373 / 0916-311-3909 or e-mail us at inquiry@dswindows.com for free quotation. You can also visit our showrooms located at 4th Level Waltermart, Makati City, 3rd Level Robinsons Metro East, Pasig City and 2nd Level Pacific Mall, Lucena City. For Calabarzon area, you may contact Mr. Patrick Villapando at (Globe) 0917-583-0214 or (Sun) 0922-592-6111.